2011 I wrote a story covering a demonstration to protest the impending execution of Sikh Professor Devinderpal Singh Bhullar in India. Bhullar's mercy petition, filed in 2003, languished for eight years until India's President rejected it in 2011. Since that time, not much has changed. In August 2013, the Supreme Court of India dismissed a call to review Bhullar's death judgment. A decision could have resulted in a commutation of his sentence to life imprisonment. Certain news outlets have qualified Bhullar as a terrorist who acted as a member of the Khalistan Liberation Force. Their reports imply that Bhullar took part in bombing the All-India Youth Congress office in New Delhi. This take leaves out a whole lot of back story. Bhullar's supporters maintain that the police targeted him because of his outspoken opposition to the treatment of the Sikh majority in Punjab. It has also been alleged that Bhullar's father, uncle, and several of his students were kidnapped by the Punjab police--never to be found. The mental health of Bhullar has severely deteriorated during his nineteen years in prison. A prime factor in his decline has been his placement in solitary confinement. Just as activists in America have called out the solitary confinement of Private Manning and others as cruel and inhuman punishment, the Bhullar case has been on the radar of numerous human-rights groups. Among them have been Human Rights Watch and Amnesty International. The latter has been proactive on Bhullar's behalf since the 1990s. I reached out to two of Amnesty's India "specialists" to get insights into what they believed the most recent developments of 2013 mean. Govind Acharya explicitly articulated his thoughts about capital punishment in India, and what he called the "uptick in death-penalty convictions" in the past few years. He said it had been part of a "political theater move" for the central government to take a visibly tougher stance on terrorism. For James Mutti, one of the key questions was India's suppression of minorities. He pointed to the government's use of the judicial system to formally eliminate voices of opposition. Despite the fact that one of the Supreme Court magistrates had acknowledged that Bhullar's confession was forced, there has not been a formal reaction to an international call for "no execution" or to granting a retrial based on United Nations standards. Sukhman Dhami, co-director of Ensaaf, an organization that focuses on "state crimes in India with a focus on Punjab," talked with me about the ongoing struggle to achieve "justice" for Bhullar. In April 2013, Ensaaf was part of a group that wrote the U.S. Department of State and the U.S. Commission on International Religious Freedom to express concern about the actions of the Supreme Court of India. In their letter, they outlined the trajectory of Bhullar's story line. It included his 1994 escape to Germany--where he requested political asylum--to his 1995 deportation by the Germany government. A German administrative court found the deportation to be illegal two years later. We specifically drilled down on why Bhullar was put in solitary confinement. Dhami informed me, "Authorities put Bhullar in solitary confinement to punish him. It is widely accepted among the international human-rights community and health professionals that such confinement causes irreparable psychological harm and should be outlawed. 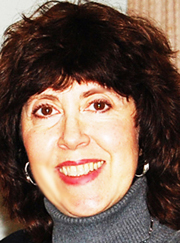 United Nations experts on torture have called for a complete ban on solitary confinement, and even in the rare circumstances where it might be permissible, it should never exceed fifteen days. In Bhullar's case, he is suffering from severe mental-health issues, and by several accounts, he no longer has the mental capacity to comprehend the circumstances of his detention or pending execution." I asked Dhami what he felt the treatment of Bhullar's litigation said about India. He responded, "The handling of this case demonstrates India is still struggling with its commitment to the rule of law and human rights. 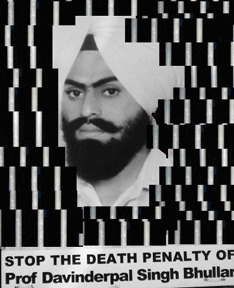 The law under which Bhullar was convicted, TADA, was widely criticized by the international human-rights community at the time as violative of fundamental due process norms. It created presumptions of guilt, allowed for in camera courts, secret witnesses, and arbitrary detention for two-year periods--which were renewable. TADA was ultimately repealed, but since Bhullar is accused of committing crimes under TADA prior to its repeal, it was retroactively applied. India tortured, extra-judicially executed, and disappeared thousands of Sikhs in Punjab during the 1980s and early 1990s--abuses facilitated by TADA and similar laws. Only a fraction of these violations have been investigated; none of the senior architects of these crimes have been brought to account. By 2013, India should have developed its capacity and commitment to respect human rights and basic legal norms. The treatment of Bhullar and the ongoing impunity for the gross human rights violations in Punjab clearly demonstrate that India has a long way to go before it meets international standards." Regarding Bhullar's fate, Dhani believes that the likelihood of the Indian government releasing him is "not very high." He underscored, "This case is a political case, and the government wants to send the message there will be no quarter for its political enemies." "As the matter stands now, the Supreme Court of India in August 2013 confirmed the death sentence awarded to Professor Davinder Singh Bhullar. They refused to review its April 12, 2013 decision wherein the court rejected Bhullar's plea that his death sentence be commuted to life imprisonment. Presented were the grounds that he underwent great agony for eleven years awaiting the President's decision on his mercy plea. This, along with his time spent in prison and solitary confinement, have badly affected his mental health." Pannun explained that Bhullar has chronic psychiatric problems and was admitted to a mental hospital in Delhi three years ago, where doctors are treating him. They are reluctant to release Bhullar due to his worsening condition and psychotic symptoms. Bhullar is seen as having 'death-row syndrome' (a result of the traumatic stress experienced by waiting on death row). Pannum detailed how the European Court of Human Rights, in the case of Soering v United Kingdom, has already recognized "death-row syndrome" to be in violation of Article 3 of the European Convention on Human Rights relating to torture, inhuman and degrading treatment.